Relating to Are one-hit knockouts possible? : It was a common trope in the 60s for heroes to knock out evildoers with a open-handed chop to the base of the neck (preferably accompanied with a high-pitched cry of 'Kee-YAH!'). I believe the claim is that a brisk thump 'stuns' the vagus nerve and down goes the bad guy. Obviously, boxing and MMA show that there are certain spots (the temple, the jaw) that are more likely than others to cause sudden loss of consciousness. But although chokeouts are common in MMA fights, I don't think I've ever seen a knockout based on a blow to the base of the neck. Is there any truth to this form of knockout? Of all the ways to knock someone out, a karate chop to the neck is one of the least effective and least reliable ways to do it. Actually, significant impact to the neck and cervical spine is probably more likely to result in serious neurological consequences such as paralysis rather than a simple knockout as shown on tv. 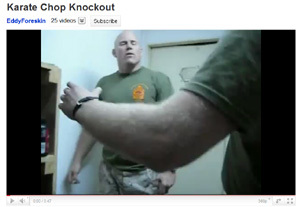 How could a karate chop knock someone out? 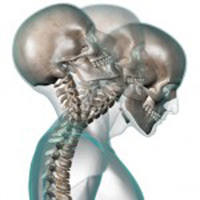 It's possible that a well-placed strike to the vagus nerve in the neck under the appropriate conditions could render someone temporarily unconscious, however this would not be likely to last more than few seconds. This would be the most likely explanation (if it isn't staged) for the video here. The body contains dissolved sodium, potassium and calcium, collectively known as electrolytes, which are responsible many functions, including conducting nerve impulses. These electrolytes need to remain in a very delicate balance in the body, otherwise significant problems can occur. 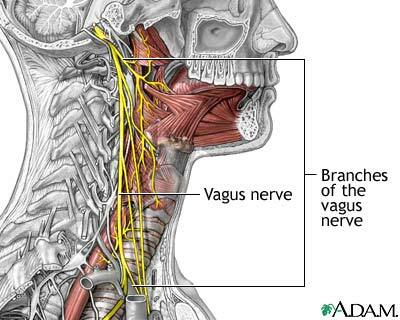 Every time someone receives a blow to a nerve such as the vagus nerve pictured above, potassium leaves the cell and calcium rushes in, destabilizing the electrolyte balance. The body does all it can to keep these levels balanced. With each successive strike, this balance becomes harder for the body to maintain. When the body reaches the point where the damage outweighs the body's ability to repair itself, the brain shuts down to fix the injured neurons, and the person becomes unconscious. An abstract outlining the way electrolytes behave in nerve conduction can be found here. However, this process usually requires repeated strikes, such as in a boxing match, and a single karate chop to the neck is probably not likely to have this effect. First, the term "whiplash" is not a medical term, but I think most people can understand what it means in this context. It is possible, if struck hard enough in the neck, to cause coup-countrecoup injury to the brain by essentially rattling it around inside the skull and causing a concussion or other injury. Of course, in this situation, you have all the same problems you would have with a direct blow to the head as discussed in the other question. 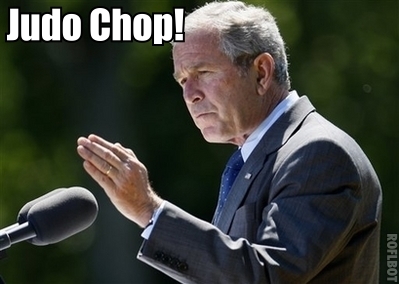 Although this is highly improbable from a single karate chop. If anything, that karate chop of significant force would more likely result in damage to the neck, soft tissue, and cervical spine. Not the answer you're looking for? Browse other questions tagged physiology martial-arts . 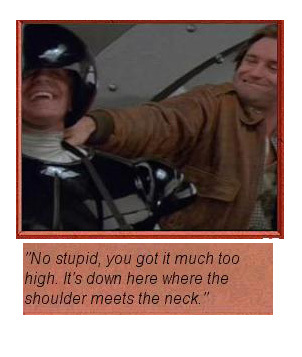 Can you knock someone out with pressure points, in the style of a Vulcan nerve pinch? Can you break a person's neck with a manual head twist? Can the UltimEyes app improve distance vision? Can the explosion of a pressure cooker kill you? Can a camera flash blind the eyes of a baby?